There are 3 main things that can have a big impact on your smile. The colour, position and shape of your teeth. 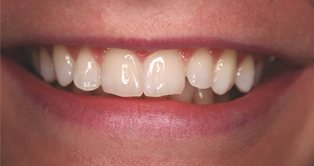 Take a look at your teeth in the mirror, if you don’t give yourself 10 out of 10, then come and speak to us. We offer a free no obligation consultation to discuss any aspect of your smile or for a 2nd opinion. 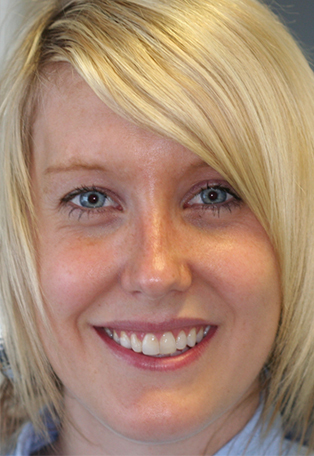 Call our reception team on 0118 978 3815 and ask for a free smile consultation. 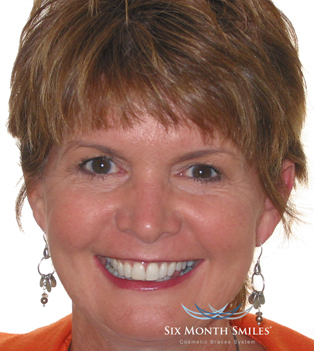 We have been transforming smiles for years with the following systems. 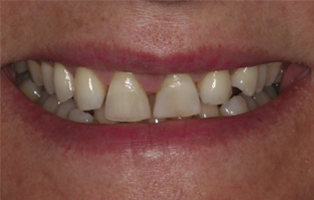 You can achieve great results in 2 weeks with our recommended tooth whitening systems. Is it safe? – Absolutely, we would not allow anything we recommend to harm your teeth. Will it work? – Yes, we have treated hundreds of patients who have been delighted with the results. 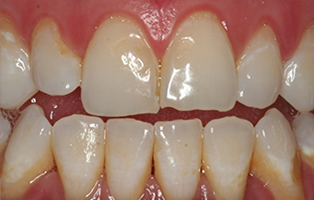 Small corrections made with tooth coloured composite bonded to the tooth can make a big difference. 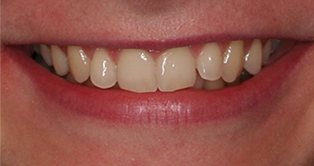 We can close gaps between teeth and get rid of black triangles between front teeth. A good example of bonding to correct worn and uneven edges. For a more perfect smile Veneers can greatly improve your appearance by correcting the colour and the shape of your teeth. 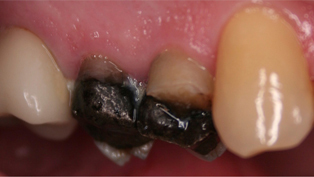 If your teeth are worn or damaged all ceramic crowns are the ideal answer to restore colour,shape and provide protection for the underlying tooth. 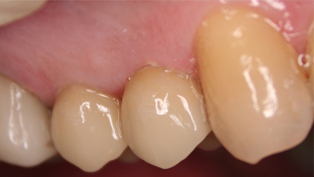 If you are missing 1 or more teeth there is no better way to replace them than using implants. At Beechcroft we choose Astra Implants for the quality of their components and the extensive research to back them up. When the position of your teeth affects your smile its usually because they are crowded and overlapping or rotated and gappy. We are pleased to offer the following short term orthodontic solutions which are ideal for adult patients looking to improve their smile in a short time. Everyone wants straight teeth, but not everyone wants to wear braces. 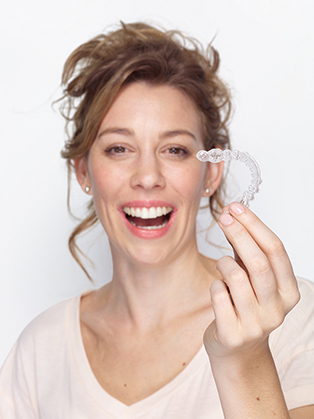 The solution is Invisalign – otherwise known as “Invisible Braces”. 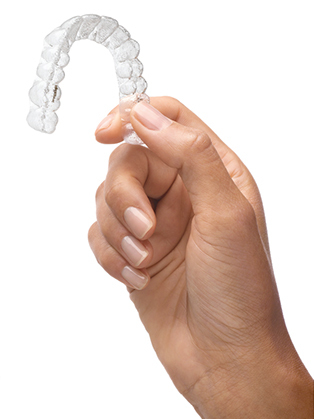 Invisalign is for Adults and teens looking to correct anything from minor to major crowding or spacing. 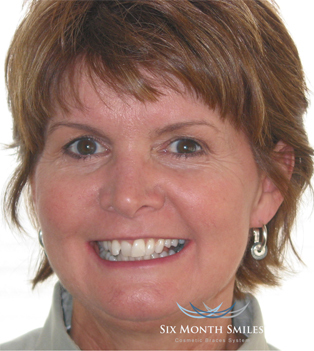 The results are amazing and to think this can be achieved without having to wear braces on your teeth. Prices range from £1750 to £3750 and we offer interest free terms spread over 12 months. 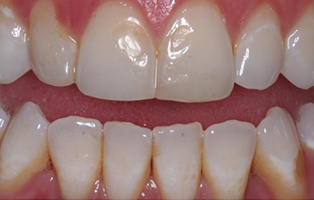 Inman Aligner treatment – a removable aligner for mild crowding in the front. Treatment time is usually between 6 and 16 weeks. 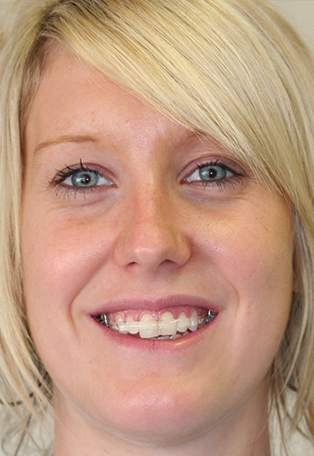 Short term orthodontic braces for adults using clear brackets and tooth coloured wires. Treatment times usually 4 to 9 months, averaging 6 months. You can straighten your smile between checkups, its that quick! 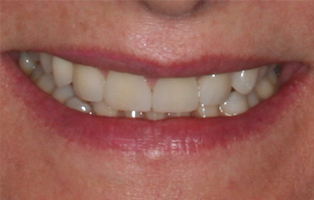 This amazing technology allows us to design and create beautiful tooth coloured crowns and veneers in one visit. With Cerec we take a 3D image of the tooth, design everything on computer and make the crown or veneer all in one visit. No temporary crown to fall off, no mouthful of impression and no second visit. I didn't like the look of my front teeth but after my treatment at Beechcroft I just love to smile.